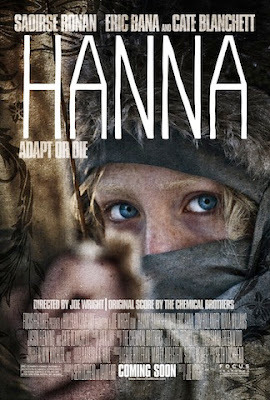 Hanna is a rarity, a Hollywood action movie with heart and soul to go with all the sound and fury. The film has a strikingly different feel to it than most recent action movies, most likely due to it being directed by Joe Wright of Atonement fame, a director who is not normally associated with action films. Teenager Hanna (Saoirse Ronan) is unlike other teenage girls, for a start she lives in seclusion in the arctic and hasn't seen another person other than her father Erik (Eric Bana) since she was a baby. Her education is mainly based around self defence and survival techniques, yet she is fluent in many languages. All these are tools Erik has decided she will need to survive when her inevitable curiosity about the world gets the better of her. Once the time arrives, the CIA led by Marissa (Cate Blanchett) is quickly on the case, capturing Hanna and chasing Erik. 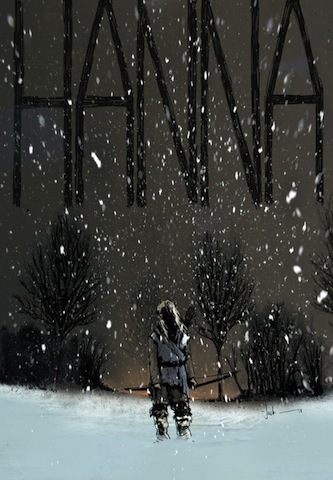 It doesn't take long for Hanna to escape the compound she's held in and she then attempts to reach the rendevous point arranged with her father, with Marissa in pursuit. As I said before Hanna has a very different feel to your usual action fare coming out of Hollywood. Many elements of the film are familiar, from the globe trotting locations to the use of high tech surveillance and tracking, even the fight sequences are nothing really new and yet feel remarkably fresh at the same time. Why? Well, for starters despite the flashy direction you can see what is actually happening, the framing and editing of the action is an example to other Hollywood directors on how it should be done. In addition to this the film has the feel of a fairy tale story. One of the few books Hanna has access to is a battered copy of Grimm's fairy tales and this is used to great effect throughout the movie with Blanchett as either the Big bad wolf (her obsession with her teeth) or more pertinently the wicked step mother, as the physical resemblance between her and Ronan is remarkable. The performances are excellent, Ronan is amazing as Hanna. Her blue eyes stand out from her incredibly pale skin, this gives her a fantastic stare that can look like wonder one moment to dangerous malevolence the next as her brain works out the survival strategy for the current situation. She really sells the little girl coming into the world, unprepared for anything except violence. Bana is the heart of the movie, with the juxtaposition of a fathers love and tenderness with the fact he's training her to be a potentially ruthless killer. You can feel his pain and pride at what he's done to the little girl he has raised and is having to let go. Blanchett has a great time and makes for a really fun villain, it's an eccentric part for her in a film full of eccentricities. Speaking of which, Tom Hollander's leisure-suited euro-trash henchmen is a bizarre addition to the film along with his two skinhead accomplices. Hanna also marks the debut score from The Chemical brothers and it's awesome, it sounds unlike any score I can remember. Scenes appear to be edited to the rhythm of the score and it makes for an exciting and hypnotic effect, and while not a new technique it works very well here. 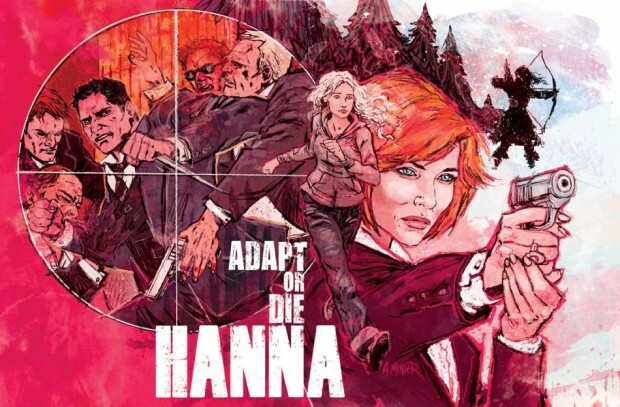 Hanna isn't perfect, I had a couple of issues with the plot, mainly how easily Hanna finds the information she needs by googling it, when we are supposed to be in the middle of a story about a CIA cover up. The middle section of the movie is a little overlong, I suppose you could argue it was necessary but maybe just five minutes trimmed could have really made a difference. Going in I had pretty high hopes for Hanna. I'm happy to say that my expectations were exceeded. Hanna is an excellent action thriller, it has some great performances, it's beautifully shot and is exciting. On the strength of this I hope Joe Wright dips his toes into the action film pool again sometime soon. Excellent review. Hanna was great. One of the best movies of 2011. Also love that original drawing. I agree with you completely, I had pretty high expectations as well but I was very impressed. It was definitely the best action film I'd seen for a while. Glad you got to see it and enjoyed it! Everyone seems to like this one despite flaws everyone seems to find. 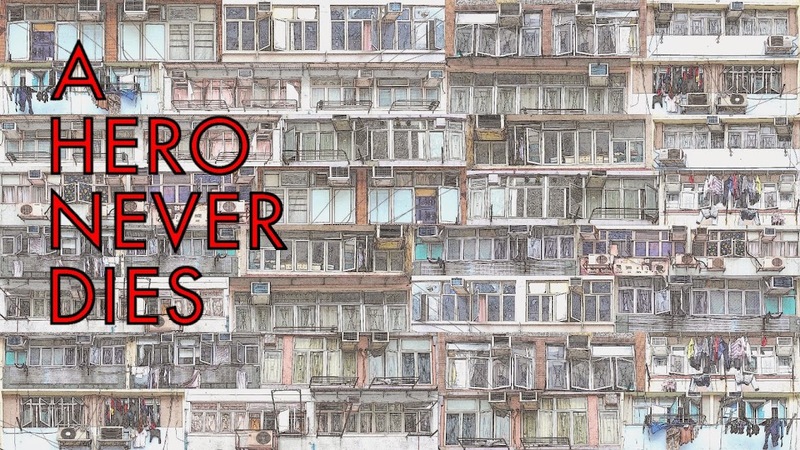 Weirdly, most reviews all seem to be disagreeing of what these flaws are. 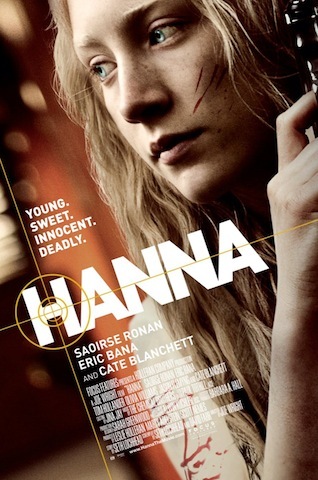 Hannah can easily appear on my list of top action films of the year though. Great film! Ty, Thanks, I'm sure it will be there or there abouts for the top ten of the year. That poster is awesome! Jack, It's always nice when something exceeds your already high expectations, so rarely does it happen that way around. A, Yes, it's funny how so many people had so many different issues with the film, yet most reviews were pretty positive. I remember you not liking the score but I loved it! Just watched this the other day, great movie - reminded me of the professional - raw, unique, cult classic. Thanks for stopping by Natural one, I'm not sure it will get the cult following The Professional has but It really is an excellent film.